Babywise - Book Review ~ My Baby Sleep Guide | Your sleep problems, solved! 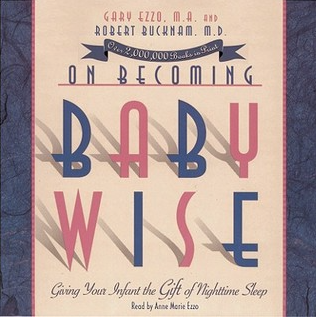 Let me just start out by saying that I am well aware that Babywise, by Gary Ezzo and Robert Bucknam, is a controversial book. Some people swear by it while some people hate it. Generally people that prefer schedules enjoy this book much more than those that prefer the attachment style of parenting. While I do not agree with 100% of this book and don't particularly enjoy the writing style of it, I generally like and agree with the information in it. The main points in this book include: promoting full feedings instead of snacking, frequent daytime feedings and awake periods (with the EWS cycle) to help baby distinguish day from night, teaching a baby to fall asleep on his own and the importance of sleep to both a baby and his parents. The thing you need to be careful about while implementing the strategies in this book is to not become too obsessed about doing everything perfect, realize that every baby is different and don't be too strict with your routine. This method of parenting will work better for some babies than it will for others. Babywise kind of makes you think that your baby will follow the "routine" or "schedule" exactly but that is definitely not the case. There are going to be ups and downs along the way. Just in case you're wondering, I did use the scheduling principles in Babywise (which were pretty much the same as the baby whisperer) and successfully nursed all my children past a year. I wanted to point this out since I am sick and tired of all the remarks that babies will be malnourished on Babywise. That is not true. If you are following the Babywise principles correctly which tell you to feed baby when he is hungry and to monitor weight and output, you should be fine. 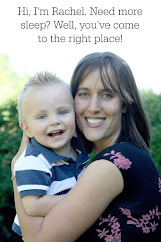 Here is a great article about Babywise myths. There are a bunch of other "wise" books out there to help you with every stage of development. See "wise" books here. Many people who like Babywise also really like The Baby Whisperer Solves All Your Problems. This book is similar to Babywise but doesn't agree with ever letting your child cry by himself which Babywise agrees with to an extent. Terrific Toddlers by Mel Hayde is also a great series that goes along well with Babywise. I bought "on becoming babywise" before the birth of our first little girl and am so glad that I followed the principles laid out. I am more schedule oriented but I made sure that I kept an eye on the needs on my baby and changed the schedule accordingly, something that the authors encourage. My second little girl only lost 95grams in hospital, regained her birth weight and some in 2 weeks and then put on between 200 and 300grams a week in the months that followed. Hardly a malnourished or dehydrated child. The sleep training worked and my children are well-adjusted, independent, confident little girls. I want to thank Gary Ezzo and Robert Bucknam for writing this book and am very sad to see the bad reports from people. Our third little girl is due in July and I intend on putting the principles laid out in this book to good use again! Thanks so much for sharing your experience chapmow! Good luck with your sweet little girl in July!